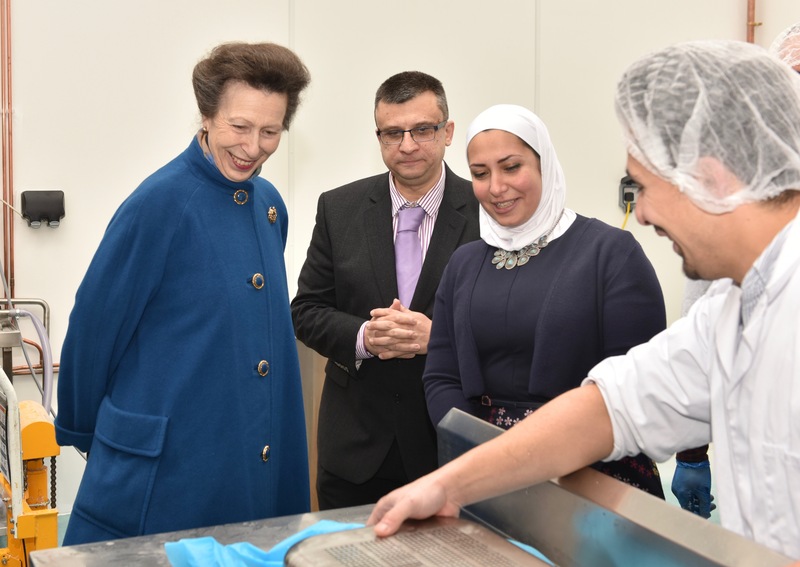 The Princess Royal visited the Yorkshire Dama Cheese company, an award-winning dairy company that was set up by Razan Alsous, a microbiologist who left Syria in 2012. The Princess met Razan's family and toured their factory to see how the cheese is produced. Dama Cheese use fresh cow's milk, sourced locally in Yorkshire, to make their products. Razan started the business with a loan from the local Enterprise Agency and made Dama Cheese made their first product, Yorkshire Halloum!, in 2014. After four months of production the business won the World Cheese Award Bronze Prize 2014-5. 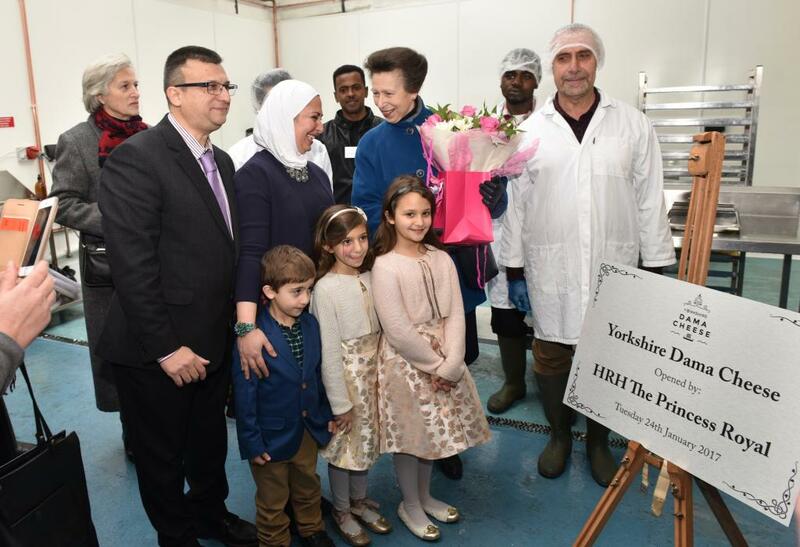 The Princess ended her visit by unveiling a plaque and declaring the factory officially open.